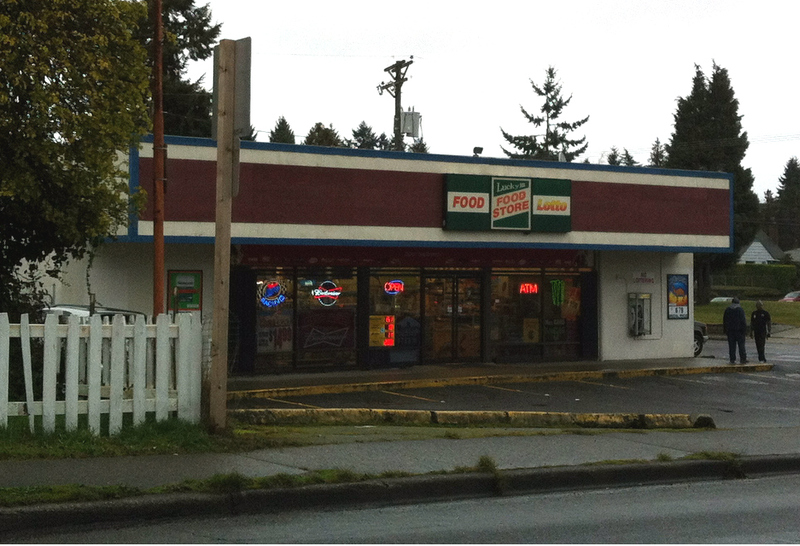 The Lucky 3 Food Store at 3601 South 12th Street, Tacoma is one of hundreds of convenience stores in Pierce Co.Just driving from Point A to Point B, on South 12th Street I passed four of them, though one was permanently closed. While I tend to think of 7-11 when I think of convenience stores, the truth is that most of them are mom and pop stores. This entry was posted in Stores and other places that sell you things, Tacoma, WA State - Pierce County and tagged convenience, grocery, Lucky 3, Lucky Three, South 12th, store on January 30, 2013 by admin.